We produce 3D interactive models for the needs of urban planning, architecture and industry, in compliance with the methods best suited to client requirements. With our specialization in modeling as-built structures and sites and our chartered land surveyor skills, we efficiently deliver solutions to a very wide range of requirements. Our company provides comprehensive service from on-site data acquisition (geometry and photography) to very diverse post-processing tailored to your needs. BIM digital models: modeling smart infrastructures or buildings to meet the needs of BIM projects. Thanks to our multidisciplinary skills, we handle the entire production chain required to deliver 3D modeling services and virtual modeling. 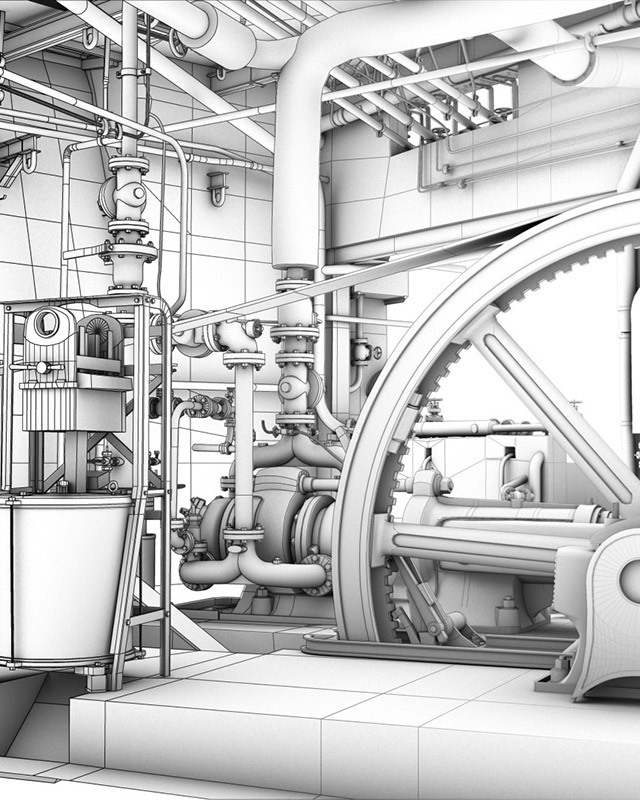 We have our own in-house equipment and software to deliver 3D modeling services and we have the human resources to deploy several teams at once on site. Our large, highly skilled staff and extensive equipment ensures that we deliver flexible, fast, efficient service. We are based in Grenoble (Isère, France), but the company regularly operates all over the world.